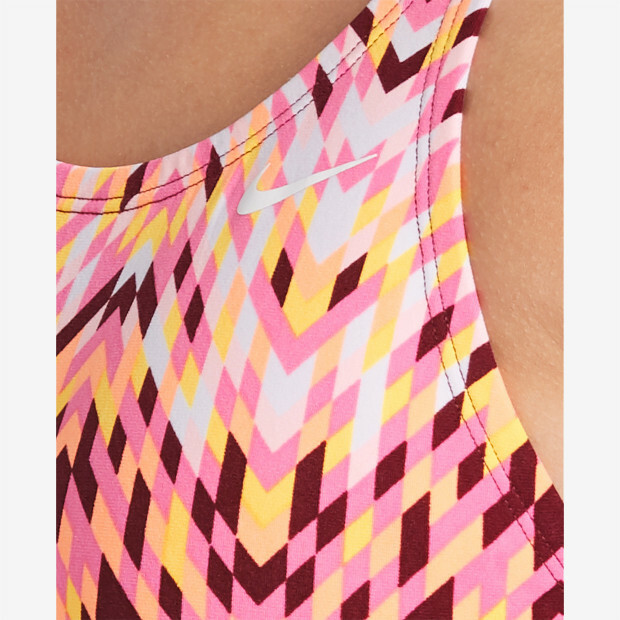 Nike Swim Women's Digi Arrow Power Back One-Piece is designed with an eye-catching colorful pattern and modest cut. It has a higher neckline for greater coverage and support, a moderate racerback design, and standard leg openings for free movement. Flat seams reduce the risk of chafing.